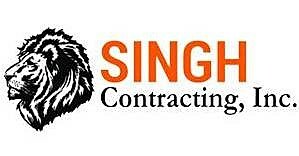 Singh Contracting, Inc is a local contractor specializing in roofing, siding and gutters in Billings and Bismarck, North Dakota. Over the past 21 years, our crew has developed a vast amount of knowledge and experience in the industry. We offer full installation and repair services in all areas for both residential and commercial clients. You can rely on our skill set, equipment and expertise to provide you with quality results. The materials and brands we use are top-of-the-line, so you know they will last. To be certain, we offer warranties to safeguard our installation work and the materials used.